Lots of space in this townhouse style 1 bedroom & den plus solarium in Dunbar. Enter this bright and well layed out unit through a secure landscaped courtyard. This end unit features: granite counters, stainless appliances, a breakfast bar with room for stools, an open kitchen/living/dining concept, laminate floors, small balcony for your barbecue, a cheater en-suite with a deep soaker tub, and a sizeable bedroom. Enjoy the private outlook from your living room and solarium with partial mountain views. Den has a small window for natural light, so perfect for a home office or nursery.1 parking spot included plus bike storage in the building. 'Highbury House' by Nigel Baldwin Architects is a small boutique rain-screened building of only 20 residential units and 3 commercial units. 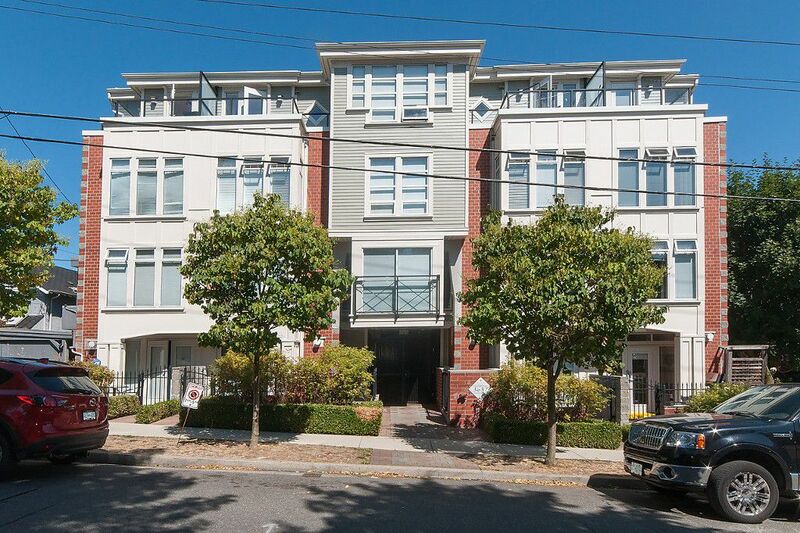 Conveniently located within walking distance to shops, restaurants, transit to UBC, & close to everything Dunbar, Point Grey & Kits has to offer. Perfect for first time Buyers or those looking to down-size.